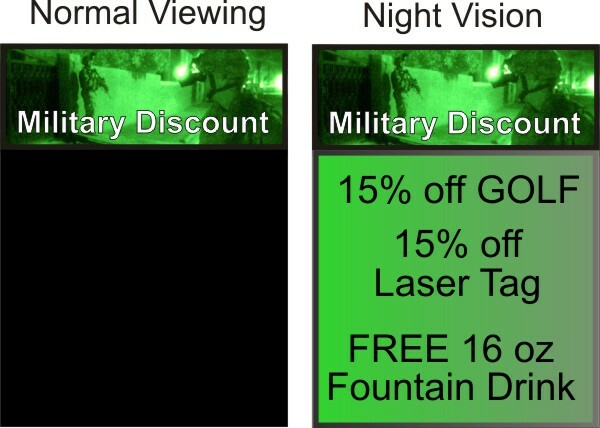 This is a typical Military Discount 18" x 24" Menu with 3M 3200 Engineer Grade Scotchlite as the printing surface. You can apply this decal to any smooth surface including glass, masonite, Formica, etc. Any size, header and message is possible. Ask for Patrick, our Magic Black expert at 800-582-1554.